Well, it's December now, and that means it must be time for me to jump back onto Facebook and Twitter. But before I do, I wanted to gather my thoughts about the experience and share what I have learnt from it. I thought I'd do this in a form of a Q & A with myself. Well for one thing, it was not as hard as I imagined it would be. I used a variety of techniques to physically block myself from Twitter and Facebook - but it turned out these were not necessary, willpower was sufficient. The closest I got was when other websites or apps tried to embed Facebook boxes or twitter feeds and I almost got tricked into clicking through. I suppose one telling thing is that now it's the 5th of December and I haven't rushed back on Facebook and Twitter yet, even though I could have five days ago. My main reason was I wanted to get this blog post written first, before I am "polluted" by going back on - but even so, I haven't been in a great hurry. Another thing I noticed was several times when out and about and I had the urge to tweet or post to Facebook, it felt a little odd not to share that moment - but it wasn't a big deal and the feeling soon subsided. Overall, the experience wasn't hard at all. Was it more relaxing being away from social media? Definitely. The most amazing thing is I actually feel like time slowed down. That's a pretty profound thing to say, but when I think back to the beginning of November, it seems like months ago. Previous months seemed to whizz by. I think that, as I theorized beforehand, with fewer inputs, my brain actually was able to quiet down a bit and make me feel more relaxed. I think probably the biggest thing I missed was that if I wanted to share something with friends, there's no easy way to do so. The fact is that most people's attention now is on Facebook or Twitter. That's where their eyes are. It is no longer sufficient to update your own blog or site and hope that people will arrive there. If you want people to discover it, Facebook and Twitter are by far the most efficient way. It's true that you could email things out to friends, but I've always thought mass emails seem a bit impersonal. It's like saying "hey, over here, look at me, aren't I important?". I think sending big emails out is not something that comes naturally to me except for Christmas letters. Facebook and Twitter feel more like just putting something out there, without any pressure on people to give you their attention. Funny really since in a way social media is even more impersonal than targeted emails. Another thing I missed was when I was going through my old photos in iPhoto, I came across various "fringe acquaintances" whose names I couldn't remember. I could have checked that stuff easily on Facebook. I suppose you could argue that if I can't remember someone's name then they can't be that important. Something else I missed was being able to quickly ask a question to a large group of people. Facebook and even moreso Twitter are incredibly useful for this. There are services like Aardvark that can help, but they don't have the same kind of audience. There are some questions where Google is not sufficient - typically ones that involve a subjective opinion, like "where's a good place to eat" or "is that film any good". I also realised that Facebook and Twitter are a sort of social crutch. They make you feel good by making you feel artificially close to your friends. I missed that contact with my friends. I think that given I live abroad from many of my friends, there is clearly a value to having some level of contact, and Facebook and Twitter can help there. But what I learnt is that it's not really a substitute for real life contact. Phonecalls, emails and video chats can help, but nothing beats actually seeing your friends face to face. What did it teach you about Facebook and Twitter? I think one thing I learned is that Facebook is a place. Not going there felt like skipping a few meetings of a regular club social group. Things happen there and if you're not there, you miss them. A few friends went to the trouble of emailing me photos or details of things that they'd shared on Facebook. Which was nice of them as it was probably a chore. My wife and I wondered why more people don't think of their friends that are not on Facebook - my wife is not on there and often misses things. It's like because I'd publicly said I was taking a break, it was more obvious. One thing I realised is that the "Feed" approach of Facebook and particularly of Twitter is a blessing and a curse. A blessing because it lets you keep track of a lot of things - friends' lives, news, interesting online tidbits etc - in one easy-to-check place. But a curse because you can never limit your attention to just one thing. You can't easily focus on just news, or just your friends - it's all mixed together. I am not sure of the solution here, because I don't want lots of places to check, but for the same reason I don't want Google Buzz in my email, I don't want a mix of different types of message in one place. I'd rather my news was separate from my social life, and my blog feeds separate again from that. Another thing I learnt is that Facebook and Twitter are very good if you just want to share a brief observation. You know the sort of thing, an idle comment about the weather, or a news event, or some experience from your daily life. I did realise that some of those things are not worth sharing, they're rather trite and insignificant. But on the other hand, small talk is what helps us bond with our fellow humans, it's what makes bloggers and online personas seem like more than just the sum of their articles and postings. If you like, Facebook and Twitter allow us to take "small talk" and gossip into the digital world. Without them, you can only do that face to face. What things did you do differently? How did your behaviour change? I noticed that I became a lot less "twitchy". I had developed a habit of every few minutes throughout the day, check Facebook, check Twitter, check email... and repeat. This is a surefire way to destroy any focus you have on work or other activities. When it's reduced to just checking email - which arrives a lot less often, especially since I spent the month pruning a lot of unnecessary mailing list subscriptions - then you get distracted a lot less and can stay focussed for a lot longer. When I go back on I will have to try hard to limit the number of times a day I check. For sure, one thing I will do on that front is that I will keep Facebook and Twitter and Email updates OFF on my phone. None of these means of communication are urgent, and they can surely wait til later in the day when I next check them. If people want to contact me urgently, they can call or SMS me. Another thing I realised (and this is both good and bad) is that Facebook and Twitter allows conversation about particular content that isn't really possible in other ways. Since we moved away from the world of everyone watching things at the same time (as they were broadcast), it has become much harder to have conversations about (for example) TV shows or cultural phenomena, because you can't guarantee that you're all at the same point. What Facebook and to a lesser extent Twitter allow you to do is have a content-centric conversation, that is to say, you can share the link to the youtube video, article, clip, etc and discuss it around that content, knowing that you've all seen it. What this also means is that your friends and social media contacts become the filters by which you decide what to watch and what to read. We've moved from a world of broadcast channels where the programmer decides what you should watch, to a world where friends and online contacts make recommendations for you, and you make the choices. The implication of this in terms of behaviour was two things. Firstly, without friends as recommenders, I started revisiting a lot of "destination sites" such as BBC News, Slashdot, The Register, friends blogs, etc. which I had got out of the habit of visiting. This was nice because it exposed me to news and views in the way that the publisher intended it, and in a context where I could view related content more easily. But I guess it probably did mean I missed out on what my friends were talking about. The other thing was that I could no longer be a recommender for my friends. Throughout the month there were various films, events and articles that I would have shared, but didn't really have a good way to do so. I think this is an important purpose for Twitter and Facebook. I've realised that "sharing" of status and links is an activity in its own right. There is no real substitute. Email comes closest, but it doesn't cut it because you have to spend time choosing who to share with, and if it's something general that would be a pretty long to line - which would make you feel like a spammer. Blogging would work if RSS feeds ever actually took off and you could trust that people would actually see what you wrote. But without that, the likes of Facebook and Twitter are the only real way to share. How will it change the way you use Facebook and Twitter? Firstly, I think I am going to use them less. I noticed a real quality of life improvement when I cut out Facebook and Twitter. I'm going to try and check them just once or twice a day maximum, and try not to get "twitchy" again, checking them throughout the day. Secondly, I think I want to find a new way of using them both, to keep me more focussed. Ideally I'd like to be able to separate the activities of "seeing what my friends are up to and chatting with them" from "seeing what's happening in the news, online and in the media". I'm going to experiment with friends lists and different clients to see what I can do here. One thing I am going to do right away is reinstall Flipboard on my iPad. I think this is a natural way to consume Facebook and Twitter from a news/updates to friends' lives point of view, as it lets you read them like a newspaper. I'm going to try to use that as my primary browse method, rather than Facebook feed or twitter feeds, because it's more natural, and more defined in scope somehow. Having said all that, I have confirmed that I will not be leaving Facebook or Twitter any time soon. Both have a value, and they did leave a (small) gap in my life. I'd like it if there were ways of accessing their capabilities in a more structured way, and more in my own control, so I will keep investigating alternative clients and software to see what I can find. I might still take the odd hiatus like this again from Facebook and Twitter in the future. It was undoubtedly a really positive thing to do, if only because it gave me more perspective on my use of social media. Now I can act in a more informed way. It will be interesting to see how differently I feel once I go back on. Time to post this and check in! PS Please add your comments below, and feel free to ask more questions that I haven't addressed! Ever since I heard this, I can't get it out of my head. Incredibly catchy, but more than that, it's incredibly clever, using the never-ending stream of blocks as a metaphor for the Russian worker class and even the Berlin wall. It covers the whole history of the Soviet Union and Russia, from the Russian revolution through Lenin, Stalin, WWII, 80s westernization, the fall of communism and the recent drift back towards communism. What are you waiting for, watch it? In the same vein as Band Aid's Do they Know it's Christmas, a huge number of Canadian singers including Avril Lavigne, Justin Bieber, Nelly Furtado and Olympic star Nikki Yanofsky have come to record a charity single to raise funds for Haiti's relief efforts. Support Haiti by buying the single, video or T-shirt at Young Artists For Haiti. And be sure to pass it on so others can help too. I'm currently spending a couple of days relaxing in the Bay Area after attending the Cloud Connect conference. Usually I'd write about places I've been and sights I've seen, but I thought for a change I'd blog about the hotel I am staying in - Hotel Avante in Mountain View. I got my stay here through the cheap hotel site hotwire, for a very reasonable $59 (39GBP) a night. One of the things about Hotwire is you get cheap prices but you don't find out the hotel until after you book (by area) - so I would never have known about this place - but boy am I glad I did. It's probably the best hotel I've ever stayed in! So, what makes this hotel so special? The first thing you notice is the lobby, with comfortable sofas, reading tables stacked with copies of Time and Wired (this is Silicon Valley after all). There is a sort of postmodern ambience about the place - retro typewriters and old cameras nestle alongside light orbs and funky modern art. The elevator doors are even a work of art in their own right. I checked in and was very impressed on entering my hotel room. I flipped on the light switch by the door and was pleased to see a centre ceiling light which really illuminated the whole room - none of this running around the room to switch lamps on like most dingier hotel rooms. And then I saw the desk... It has two glass panels to see into the drawers below. One drawer contains stationery and practical items. The other is chock full of "executive toys" - a Slinky, an Etch a Sketch, some transparent playing cards, a Rubik's cube. The hotel notepad says "IDEAS" over the top, with a stylized human brain. As someone who likes to get creative and innovative, I love this! Everything about the room has been carefully thought out. There are two surge-protected power strips, so none of the usual contest for sockets. The bedside table has a recessed area right by the pillow holding another ideas pad - perfect for late night inspiration or dream recording! I've been here over 24 hours now, and I'm still discovering new things.. A shelf in the cupboard contains some stick magnets and ball bearings to play with. A hi-fi with a library of CDs you can borrow from the front desk. Toothbrush and toothpaste provided. The bedside table, as well as the requisite Holy Bible, contains a torch/flashlight and emergency flare - how random! The hotel TV is HD, and swivels around so you can watch it while working at the desk. Speaking of which, the wi-fi is complimentary and fast. In fact there are four different wi-fi networks to choose from! This includes Google's free wide area wi-fi network serving the whole of Mountain View. We are in the home of the Googleplex here! There is a great little outdoor swimming pool and hot tub/jacuzzi. And a fitness room, and a relaxation lounge. The bed is a very comfortable king-size, with more cushions and pillows than you could ever wish for. Every evening there is a complimentary happy hour bar, and the hotel lobby has a wine rack and every room has a corkscrew - no need to go out for supplies! This morning I had breakfast, which was a buffet with everything I could have wished for - eggs, sausages, bacon, pancakes, fresh fruit, bagels, toast, yogurts, cereals, pastries, juices & hot drinks. And what's more - it's free! This is almost unheard of in the US in my experience - most free breakfasts are continental and most cooked breakfasts cost extra. The hotel is well located too - with plenty of stores, restaurants and bars in walking or driving distance along the road - the hotel is located on El Camino Real. And there's plenty to see in the area.. Silicon Valley, NASA Ames Center, the Computer History Museum, the Star Trek exhibition at The Tech in San Jose, Stanford University, and lots of great open spaces and countryside. So why is this hotel so good? There is a sign outside the elevators with the hotel motto - they aim for your stay to be "Better than Expected". And trust me, it really was! This is a great example of applying "Made to Stick" principles - making a clear, concise message for the employees to hold on to. You can see some more photos at a higher resolution on my Flickr page. Please, watch this video, and pass it to everyone you know. Jamie Oliver has been awarded the TED Prize 2010 to help make his mission to re-educate society about the importance of home cooking, fresh food and eating well. This is a solvable problem, which every one of us can help with. Sign up to help our children and our children's children - in the USA, the UK and around the world. This month I have started attending a creative writing course at Thomas More Institute. The second week's assignment was a 500 word dramatic monologue based on the character we'd developed the week before - in my case, 44-year-old Jack Duffy, who makes a living as a taxi pilot in 2258. I did post it here but Blogger is playing silly buggers with the formatting, so you can read it on Scribd here. It's also on my posterous. Feedback is always welcome. In just a couple of weeks time, it will have been a year since my wife and I last received any kind of TV broadcast into our home. We don't even own a TV since we moved to Canada. That's not to say we don't watch TV shows, news and movies, it's just that we've been using different technologies to do it. In this first post I will explore why we did it, how we made the transition away from broadcast TV, and what technologies we found to be useful. In part two I'll look back at our experiences and assess the pros and cons of not having a TV, and discuss where this might lead, for us and for society as a whole. If you'd prefer a shorter version of this post, you can head on over to my posterous blog. So, why did we make the switch? One of the biggest reasons was time pressure. It's an inescapable truth that we are all much busier than we were 20 years ago, in the days when there were fewer TV channels than fingers on your hand. We have gone through a lifestyle revolution where an almost infinite numbers of online and offline activities are available to fill up our time. The solution that presented itself was PVRs (Personal Video Recorders), which allow you to automatically record all episodes of a series by the push of a button, and watch them back in your own time. You can also pause, rewind and fast forward through ads. 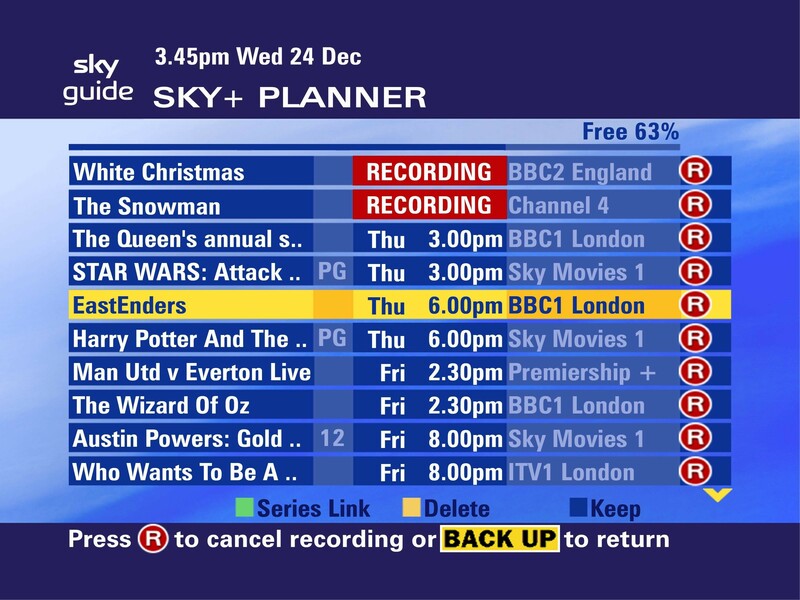 Being in the UK, Tivo was not an option, but we were still able to get on the PVR bandwagon. 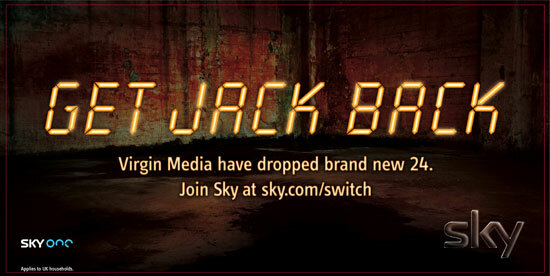 We had Sky+ for a couple of years, and then V+, which worked quite well for us. And once you've had a PVR, you'll never want to go back to normal TV (sounds like a line from a commercial, but it's true). But we found that having Sky+/V+ presented new problems. This was the first time we'd had digital TV or cable/satellite TV too, and it meant an increase from 5 channels to around 300 channels. This was not a good thing. More channels meant more shows that looked interesting, and more choices about what to watch. More choice is not a good thing. We found that we were accumulating shows we wanted to watch faster than we could watch them, and were having to spend time deciding which shows to delete, or copying recordings off to DVD. What was supposed to bring us more entertainment was becoming a chore. What's more, at that time it was more or less impossible to have PVR technology without paying an expensively monthly contract (usually higher than a standard non-PVR subscription). Now, you can get PVR boxes that work with Freeview or Freesat - meaning no monthly fee. This would be a slightly better option - but I would anticipate an excess of content still being a problem. The other thing that was happening around the same time was that we were getting into more and more American shows - such as Lost, Heroes, Jericho, 24 and Enterprise. Typically these shows air weeks to months earlier in the USA than in the UK. And in the case of Lost, we found ourselves unable to watch it legally without switching provider when Sky One and Virgin Media fell out over licensing (see right). And there was no legal way to obtain any of these shows when they first came out. So we began to download shows as .avi files from the Internet - typically using torrent sites such as isohunt and the Pirate Bay. This meant we could get the shows we wanted as soon as they came out, while everyone else is still talking about them, and best of all, with no adverts. Now of course these files are natively viewed on a computer, not a television, which was ok on my widescreen monitor, but not ideal. Computers typically aren't set up with a nearby couch or armchair for viewing. So we started to look at media players - put simply, a box that sits under your TV and lets you watch computer media files from its own hard drive or from your home network. Our first media player was a modded XBox games console (modding is a legal process which involves adding a chip to the console so it can run any software, and installing a new software interface). We used the very impressive XBMC (XBox Media Centre) software, which lets you run XBox games from hard disk, run emulators, stream internet radio, watch movie trailers, and play any music or video files from an internal hard drive or your network. XBMC remains one of the best interfaces out there, with beautifully designed screens, easy to use and highly functional. It pulls in movie & TV thumbnails and info from the internet automatically. We found it was a very powerful way to watch downloaded episodes on our TV - by simply sharing the torrent download directory over the network, browsing the directory on the XBox, and clicking the file. We now had all the PVR like features (pause, rewind/fast-forward, watch when you like) for our media files. We continued using this system in parallel with our PVR, and accumulated more and more media files of TV shows and movies. We realised we needed to have a single machine to store all our files, accessible over the network, so we began to construct an Ubuntu Linux computer into which we could put lots of hard drives to store our media. This had some limited success, but I don't get on with Linux configuration, and it just became too much work. Fortunately, I discovered FreeNAS, a Linux-like operating system pre-configured for exactly this purpose, sharing files over a network (known as network attached storage). There are more expensive options available, but FreeNAS can run from a USB key stuck into any old PC you have lying around - and can be easily configured with no command-line stuff from a powerful web interface. It was just the job, and worked beautifully. Soon we were buying 750Gb and 1Tb hard drives (surprisingly cheaply) to store our media files. By now it was early 2009, and we were making plans to emigrate to Canada. We realised that taking our huge collection of both bought and recorded DVDs and CDs was not an option, and that we could digitize all our music and movies onto the NAS hard drives - and take those hard drives with us to Canada. Mrs Alex did all the hard work, and we soon had eight hard drives full of media to take to Canada. Soon after getting to Canada, we acquired an old PC cheaply, and installed FreeNAS again, to make a new NAS server, which I affectionately call Tardis, giving us access to all our old files. As we set up home in Canada, we thought hard about how to lay out our living room. We realised that we spend a lot of our time on our laptops, and that having a TV in lounge makes the room very TV centric. My monitor was able to function as a "TV screen" for media playback from the NAS, swivelled round to face the sofa when needed as a TV, and swivelled back to the desk when needed by my Mac. And so we were able to layout our living room without a TV. Looking back, I guess this was the moment we decided not to have broadcast TV any more. I can't describe how much nicer it is to not have a TV in your lounge. By default, you sit down and do other things - whereas in most lounges when you have a big TV screen in front of you, the room almost invites you to turn it on. And so we enjoyed this set up for the first six months of our "year without TV"... downloading new shows and watching films from our collection via the NAS and my computer monitor. But by now, some of the shows we watched were also available in high definition, which couldn't really be played back on my 1680x1050 monitor. And I was aware that audio-wise, our system was not ideal (we were just using my computer speakers). We started to wonder about the possibility of setting up a home cinema. I'd been thinking for some time about getting a better media player. We'd left the XBox in the UK, being too heavy to transport, and using my computer to play shows was a little annoying. The media player market is still in its infancy, but there are many many choices available. There's MythTV (too much Linux configuration for my liking), Windows Media Center (not so great at playing back some video formats, plus, it's by Microsoft), Apple TV (but you can only play shows and movies bought from Apple), and many more. Ultimately the device we settled on is a Popcorn Hour (also known as a Networked Media Tank). The Popcorn Hour is a tiny box (not much bigger than a hard drive) that plugs into a TV or projector to stream media from your network. It has some of the best support for different video formats - including our digitized VOB files (DVDs) and FLAC files (Audio CDs). What's more it is capable of HD output and optical audio out. I also like it because you're not running a noisy PC, it's quiet and very low power consumption. From a technical point of view it's hard to beat. My lovely wife bought me one for my birthday. In August, we moved to a bigger place with 2 living rooms, and setting up a Popcorn Hour-powered became a real possibility. Our friend Eric very kindly lent us an HD-capable projector, and we put up a shelf and drilled a hole through the wall so that we could have our NAS server in the spare room but the Popcorn Hour and projector in our lounge. We painted the walls white to give us a better surface to project onto, and before long it was all systems go. We were even able to hook up our Wii to the projector as well. This is a great set up, we're now able to watch our movies projected onto the wall, and when you watch HD films you can see every detail. We've been enjoying this set up for the last 6 months - downloading new shows like Dollhouse, Doctor Who and ReGenesis as well as our old favourites like Lost and Heroes. Similar geo-IP technology is used in the USA to restrict access to Hulu and ABC, and is also used for audio services such as Pandora (US) and Spotify (UK). As a UK citizen living abroad this is very frustrating. I would be happy to continue to pay my license fee while abroad in exchange for officially supported access to BBC content. Unfortunately the legal and technical systems in place do not allow this. But fortunately there is a workaround - to use a proxy server. A proxy server is a computer in the country you want to pretend to be in, that relays your connections, fooling sites like iPlayer into believing you are in that country. We've started to use a service called Flote, which for 9.99GBP a month, gives access to US, UK, Canadian and Dutch proxies, enabling access to almost all of the services listed above. Proxies are legal, but something of a loophole at the moment. If you'd like to learn more about proxies, there's a good description in this episode of the excellent CBC Spark podcast. The proxy service means I can watch UK shows like Doctor Who even while out of the country, but in practice I mostly download the torrent files unless I am away from home. This may be partly because I haven't found a good solution to get Internet streams onto the projector (One option might be a Slingbox, but they're not cheap). So this brings me up to the present - you can see how we got here, and hopefully you learnt a thing or two along the way about what options might be available to you. If you're thinking of breaking free of broadcast TV you may also want to take a look at Jeff MacArthur's decabled.com. In the next post I will tell you about what the experience has been like for us, the pros and cons, and where this might all lead. Back in May last year we picked up a Communauto car and did a day trip down into New England. We went down the western side of the massive Lake Champlain through New York State and back up the eastern side through Vermont. We headed south over the border on Interstate 97 and stopped at a tourist information centre soon after where were able to pick up some useful maps and leaflets. We drove further south and were treated to impressive views of the Adirondack mountains towering overhead, which we plan to visit someday as well as the nearby Lake Placid. We had planned to stop first in Plattsburgh (which incidentally is supposed to be a good location for cheap flights across the USA, as many of the budget airlines don't fly to Canada). Unfortunately not long after we got over the border the heavens opened, so rather than stop we continued south along the 9 and more minor roads by the edge of the lake (which is technically a very large river). We saw some beautiful houses on the waterfront. As we have seen in most places in North America, waterfront access is often difficult as it tends to be private land - unlike the UK where rights of way and footpaths exist by most lakes and rivers. One house had a beautiful little summer house on stilts on the water with a hammock looking out onto the lake - it made you wish you lived there! By now the rain had stopped and we spent some time walking down the streets and to the water's edge in a beautiful little village called Essex, where there seemed to be a very sleepy pace of life and fog engulfed the end of the pier. Outside of the village we stopped at our first US "historic site", a tiny limestone school house from 1816 (photo on Flickr - see below). We continued south down long and winding (but nonetheless attractive) roads until soon after Port Henry, were we began to head Northeast, and took the Champlain Bridge across into Vermont. By now the rain had stopped and the sun came out, treating us to some beautiful views over green fields and of attractive wooden farmhouses with pill shaped grain silos. We stopped at an interesting art gallery/antiquities store and then continued further north until we reached the city of Burlington, which was surprisingly attractive and felt quite British with ice-cream kiosks, clothes stores and pedestrianised streets. We wandered through a shopping centre and stopped for tea and cake at the excellent Dobra Tea where you can sample teas from every country in the world accompanied by delicious salads, snacks and pastries. We then began to head home, taking the scenic route across the islands through the agricultural settlements of South Hero, North Hero and Alburgh. The light was amazing as the afternoon drew to a close, making some wonderful reflections on the water and making the trees and grass seem a lush yellowy green. We crossed back into Canada on a minor road near Rouses Point, which was pretty much one guy in a booth - a much more pleasant experience than our crossing south on the Interstate (and no queue). You can see higher resolution photos in the full set on Flickr here.